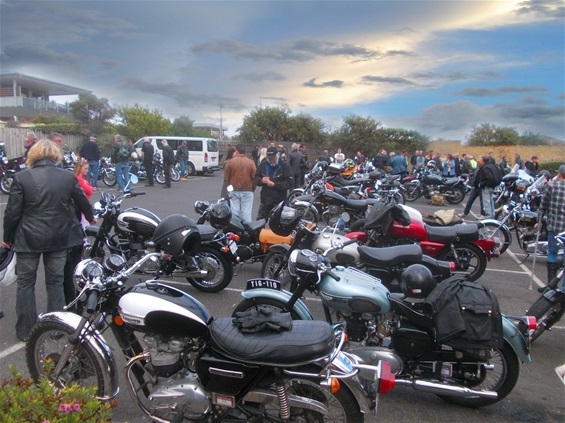 The inaugural "A Meander Down The Bay" ride was a great success with 85 motorcycles taking part. Many thanks to the riders, CRAB members and volunteers whose participation and efforts made it a great day. 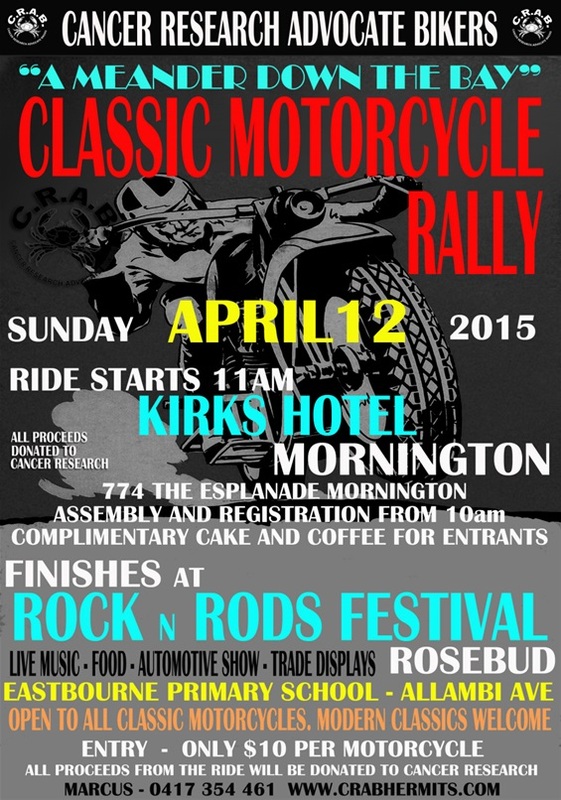 Special thanks to the Rock n Rods festival for a great ride destination, Safeway in Hastings for their kind donation and to Kirks Hotel for the use of their venue. The ride generated much needed funds for cancer research and the proceeds will shortly be passed on to the Olivia Newton-John Cancer Research Institute.